War with China is much more likely than anyone thinks When Athens went to war with Sparta some 2,500 years ago, the Greek historian Thucydides identified one simple cause: a rising power threatened to displace a ruling one. As the eminent Harvard scholar Graham Allison explains, in the past 500 years, great powers have found themselves in "Thucydides's Trap" sixteen times. In twelve of the sixteen-from war between the French and the Habsburgs in the sixteenth century to the two world wars of the twentieth-the results have been catastrophic. Today, the same structural forces propel China and the United States toward a cataclysm of unseen proportions, even as both sides insist that such a war could never occur. 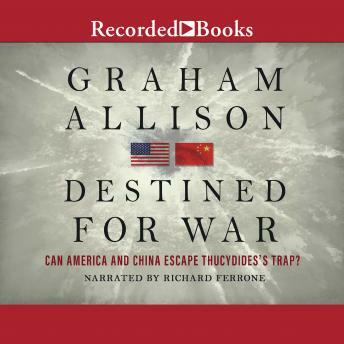 In Destined for War, Allison compares the U.S.-China conflict to its closest parallel: World War I. There, a rising Germany threatened the supremacy of the British Empire. He sketches several scenarios in which America and China might slide, against their intent and better judgment, into a similar conflict. But he also examines the rare instances when two clashing powers have avoided disaster. Can our current standoff be one of those exceptions? Allison's answer is essential reading for our age and those to come.